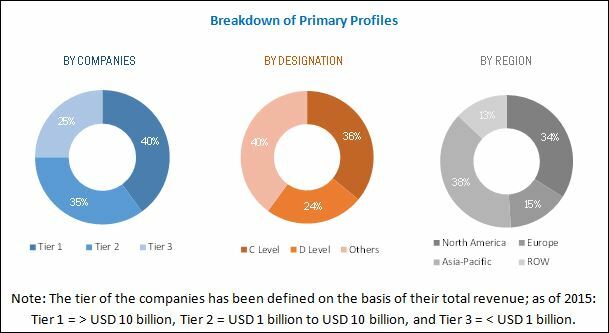 [161 Pages Report] The AC drives market was valued at USD 14.68 Billion in 2015, and is expected to grow at a CAGR of 7.0% from 2016 to 2021. 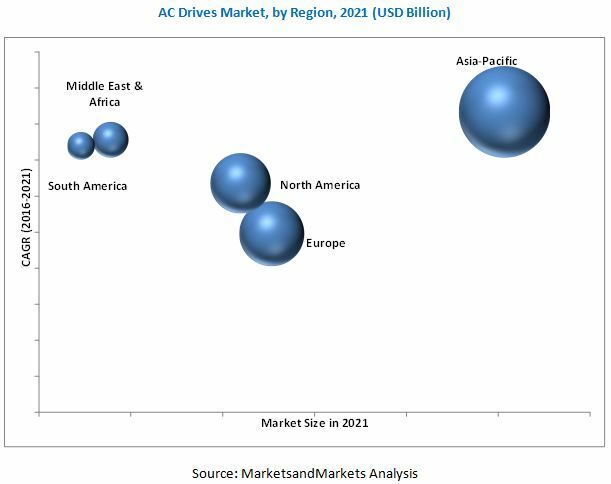 Increasing urbanization & industrialization, rising need for energy efficiency, and regulations on energy efficiency are major factors driving the AC drives market. This research study involved the use of extensive secondary sources, directories, and databases such as Hoovers, Bloomberg Businessweek, Factiva, and OneSource to identify and collect information useful for a technical, market-oriented, and commercial study of the global AC drives market. Primary sources are mainly industry experts from core and related industries, preferred suppliers, manufacturers, distributors, service providers, technology developers, standard and certification organizations of companies, and organizations related to all the segments of this industry’s value chain. The points given below explain the research methodology. The ecosystem of the global AC drives market starts with suppliers of basic components such as transistors, inverters, and DC circuit & rectifier units. The manufactured parts are then assembled by the OEM (original equipment manufacturer) to form an AC drive set, which is then tested. This stage is followed by the distribution stage, following which the product is provided to the end-users. Distribution is the next stage of the supply chain. The top players of the industry market their products through self-operated sales offices located near target markets, while regional players rely on distribution partnerships to access diverse markets. Some of the major players in AC drives market are ABB Ltd. (Switzerland), Siemens AG (Germany), Danfoss Group (Denmark), Schneider Electric SE (France), Rockwell Automation, Inc. (U.S.), Mitsubishi Electric Co. (Japan), and Yaskawa Electric Corporation (Japan) , among others. 12.7 Fuji Electric Co. Ltd.